Our last post at Writing Center Underground discussed how to develop a research question. The research question is more of an open-ended beginning for the research paper. Your answer to your research question is your thesis. The thesis to your paper is an assertion you make about your topic. 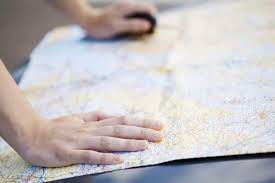 The thesis is considered a promise you are making to the reader about the purpose and direction of your paper. Some instructors refer to the thesis as a “forecasting statement,” forecasting what will lie ahead in the paper. The thesis statement usually is placed at the end of the introductory paragraph, setting up a roadmap for the coming argument. 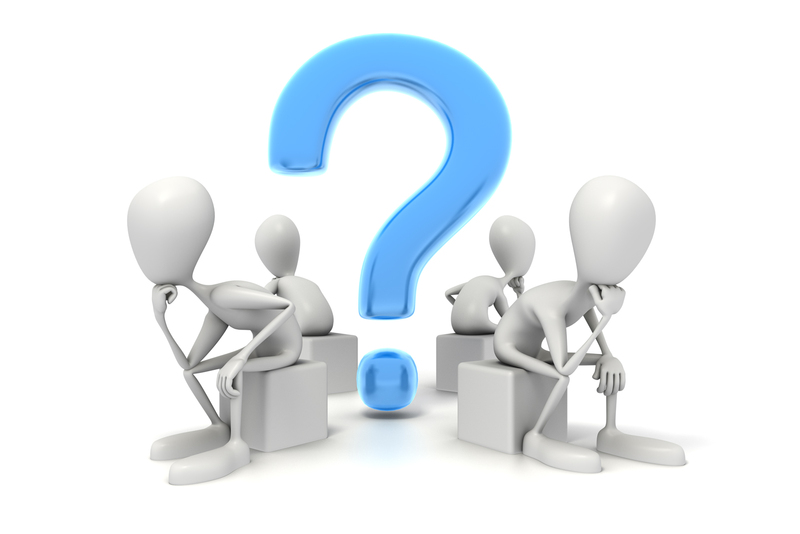 In the research question you hopefully already created, you posed a question you wanted to know more about, a question that, after some initial research, you came to have an informed opinion about. Your answer to that research question will lead you toward your thesis. For instance, if you wanted to know if watching violent television programs causes violent behavior in adolescents, your answer to this question is your working thesis. We call it a “working” thesis, as it may change shape as you move further into your paper. If you think about this question and can’t decide, or you want to present both sides or ride the fence, as they both have valid points, this is NOT a thesis statement that will work in a persuasive paper. 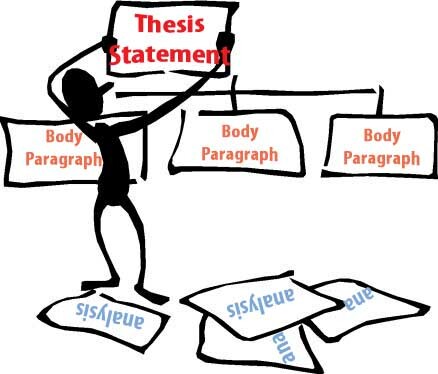 One of the main characteristics of a thesis statement is that it must be arguable. If you make a statement that others couldn’t disagree with, then there is no other side to pose, no assertion to make, so no arguable thesis. If you take the same research question above and give a definitive answer, for instance, watching violent TV does not cause violent behavior in adolescents, then you have a statement that an audience might disagree with. Now you’re not riding the fence, you’ve jumped on one side of the fence to argue a point – a THESIS! Watching children’s TV programming has a positive effect on language learning in preschool-age children. To confirm this thesis statement is arguable and well-qualified, ask yourself, could someone disagree with my assertion? For the above example, yes, some people might say that young children’s language learning might be hampered by watching TV. If you are ever in doubt about whether or not a thesis is going to work, ask yourself if someone else might disagree with you. If the answer is yes, then it’s passed the largest hurdle. Vague thesis statements are one of the most common problems for beginning writers. A vague thesis statement leads to an unfocused paper, so the more specific the better. Say you want to write an argument paper on cell phone use. What about cell phone use? Vague: All states should ban cells phone use while driving. This thesis leaves too many unanswered questions. What kind of cell phone use? Is it okay to listen to messages? Is it okay to talk, but not text? Should all types of use be banned – texting, talking, listening? Should all drivers be banned from cell phones? All ages? What if you’re “driving” a boat or jet ski? Be Specific! Revised: All cell phone use should be prohibited while operating a motor vehicle for all drivers under the age of 21. The revised thesis is specific, arguable, and has research available. As you dig further into the research, you might decide to adjust the working thesis, and this is fine. This is just a starting point to focus your research and paper. Avoid Question Thesis – Make sure you form the thesis into a declarative statement and not a question. “Can we save the whooping crane? is a broad question that fails to express an assertion or perspective. Focus Focus Focus – “Football should be outlawed” or “Drugs should be banned” are too broad. Both lack a specific focus. What level of football? What type of drugs? 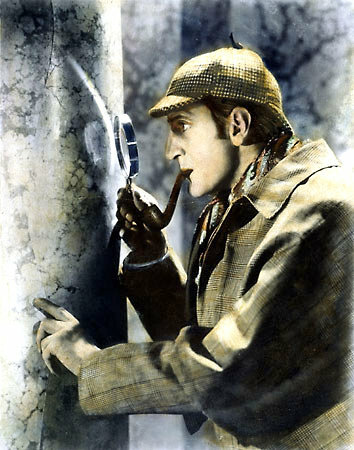 Go back to your research question and consider exactly what you want to investigate further. If you can’t answer the research question with a well-focused response, keep tweaking until you have an answer, or working thesis, that will fit the shape and scope of your assignment. So What? – Does your thesis pass the “so what” test? – So what about banning drugs? So what about outlawing football? Consider if you are connecting your thesis to a larger issue and if you have clarified it enough so that readers will be interested and engaged in your argument. Forecast –Your thesis should forecast what the paper will be about, without explicitly stating what it will be about. For example, “This paper will explore the extinction of prairie dogs and what we must do to stop it” is not a thesis statement, but a “signpost.” This type of statement signposts what you are writing about. Any statements of “I will do this in my paper,” or “Next I will talk about this and that” should be avoided. Once you compose a strong working thesis, your paper will gain focus and clarity. Each paragraph will support and relate back to the thesis, which will keep the focus, flow and organization humming. Next week, we’ll discuss organizing your paper around your thesis. Before you begin the work of writing a research paper, it’s essential to first develop a research question. A research question is simply a focused question about a problem you and your readers think is worth solving. The answer to the research question becomes the thesis statement. The first step is to find a topic you are both interested in and one that can be researched. You may think of many topics that interest you, but if there is no research available, it’s not going to work for a research paper topic. Likewise, if you find a topic with lots of available research but you have little interest in, you’ll want to poke pencils in your eyeballs as you try to write a long research paper about it. Spend some time considering a topic that interests you or that you have some prior knowledge about, and the research paper will be a much more enjoyable process. A topic provides a focus for the paper, and a major topic can often be broken down into smaller components. For example, you want to write about pollution. What type of pollution? Air pollution? Noise pollution? Trash pollution? You pick trash. What kind of trash pollution? Keep narrowing the topic until it’s well-defined. Once you have narrowed your topic, define the issue. The issue is the research problem on which you’ll argue. What about trash pollution? Trash pollution can be broken down into still more components, but you want to focus on plastic water bottles. The topic is trash pollution, and the issue is the environmental impact of plastic water bottles. How would you formulate this topic and issue into a research question? Research Question: What are the environmental impacts of using plastic water bottles? Great start! This is focused, not too broad, and not too narrow. Do you want to focus on elementary, high school, or college? You decide, since you are a college freshman, you want to focus it on college freshmen. So what about standardized testing and college freshmen? Maybe you think that standardized testing doesn’t really reflect a student’s ability. Good. This is more focused, but still not a research question. So what about the connection between standardized testing, ability and college freshmen? Is standardized testing a good predictor of college academic success? Bull’s-eye! This is a focused question, with available research. If you were to answer the question, you would have an arguable thesis. Perhaps you are interested in the effects of television. This topic is much too broad; what about the effects of television? On who? What type of television? Reality TV or the 6:00 news? Positive effects or negative effects? Too many questions are unanswered and still need to be defined. You decide you want to focus on violence and television. This is more focused, but still lacks a well-defined concept. What about television and violence? You wonder, does watching television cause violence? That’s a start, but still leaves too many unanswered questions. Again, what type of television? Does television cause violence in children, in adults, or both? Continue to narrow the topic until it is well-defined and considers a researchable question. Does watching violent television programs cause violent behavior in adolescents? Good! This is narrow enough to focus a paper, and the question can be answered with research focused on adolescents, or puberty-age to pre-adult teens. It’s not uncommon to pick a topic, develop a research question, start digging into the research, then find that you want to go in a different direction. Let’s consider the previous topic of the effects of television violence on adolescents. You still want to research the effects of television, but after sifting through the research, you decide it’s more interesting to focus on television’s positive effects. You decide to shift from researching the negative effects of television to researching the positive effects. Again, keep answering the “so what?” questions; so what type of positive effects? What type of television? What age range? Does watching children’s programming have a positive effect on language learning in preschool-age children? Interesting! You hadn’t even thought about this topic, but once you started considering a related topic and reading the research, you re-formulated the topic and narrowed it down into a research question that is well-defined, has lots of research available, and is interesting to you – the perfect combination! As you can see, it takes some time and thought to formulate a strong research question, but taking the time to develop a strong research question will pave the way for a strong essay. Writing your first college essay can feel overwhelming. Maybe English class wasn’t your strong point in high school, and now perhaps you have to get through two English Composition classes in college. You’re not familiar with the instructor’s expectations, and sweat starts to trickle from your forehead at the sight of the first writing assignment. Your classmate asks the instructor a question about the guidelines, and is told “It’s in the syllabus.” Ugh. What to do? As you can see, college writing instructors might have many different expectations, and learning the academic terms instructors use can be challenging. Also, be aware that most college writing instructors will expect you to write multiple drafts of a writing assignment, collaborating with peers for initial feedback towards revision. Sharing your writing with peers can be stressful if you’ve never done it. I always tell my students to avoid writing about anything they don’t feel comfortable sharing with their peers. 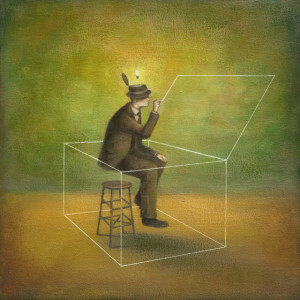 Most college professors value creative, independent thinkers. Critically thinking about a topic and integrating your own ideas with those of others is not only valued, but expected. In high school you might have gotten by with regurgitating other’s ideas, but in college, you’ll be expected to evaluate, analyze, and synthesize primary and secondary source material, as well as integrate your ideas with these outside sources. Understanding not only how to find reliable sources (not from the internet), but also how to integrate your ideas with other’s is challenging for new students. To instructors, these topics, and others that have been written about over and over, are stale. There is nothing new that can be said about them. When college instructors see these paper topics, they immediately assume the student is too lazy to find another, more unique and innovative topic, a topic that has personal resonance. The most creative paper I ever read was from an education major who wrote about how wall paint color in elementary classrooms can enhance student learning. She had peer-reviewed (not internet) research to back it up, and I’d never read anything like it. She was also personally invested in the topic, as she was going into education. Brilliant. Demystifying college writing is simply a matter of understanding perhaps new and different expectations than what you’re used to. In college, it’s not unusual for instructors to have less explicitly stated guidelines than you might have had in high school, but this also gives the student writer more freedom of expression and room for critical thinking and creativity. If you have a question about an instructor’s expectations, ask. Your peers probably have the same questions. If you don’t get a satisfactory answer, visit your Writing Center for guidance. But few or broad guidelines might mean the instructor is giving you lots of room for interpretation and wants you to take advantage of the opportunity to be creative. Show them what you can do. What questions or concerns do you have about your current essay? Add your questions to the Comment section below and we’ll post the Q & A at a later date.